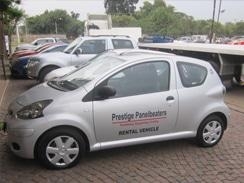 Prestige Panelbeaters is an approved body and automotive repairer in Rustenburg. We are over 40 years old, but brand spanking new and it certainly shows. 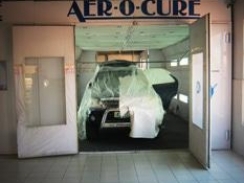 Superb design and functionality, fully equipped premises and trained staff and the latest in bodyshop and spray painting equipment have elevated Prestige Panelbeaters to the upper echelons of the industry. This company is currently compliant with all required business legislation. To facilitate a smooth quotation and ordering system, we operate on both Vantage CS Business Operating System and Audotex Accident Repair Quoting System. 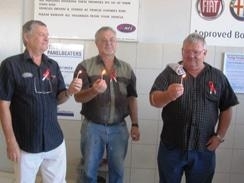 Prestige Panelbeaters is the first and only Santam Drive-in Centre in Rustenburg, North West Province, and the fully computerized “Abuntex system” is employed in facilitating the Santam policy holder’s claim. That means, if you’re a Santam client and your car has been damaged, you can come to Prestige Panelbeaters and have your car assessed and panel beat on-site. Fully computerised “Abuntex system” in facilitating the Santam policy holder’s claims. 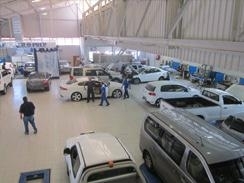 Our dedicated team will ensure your vehicle leaves our workshop in tip-top condition. Skills Development - We are a Merseta approved workplace and are fully committed to the continuous skills development of our staff in line with the National Skills Development Strategy III. All training is unit standard based, leading to nationally recognized awards! 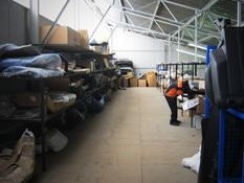 Our qualified artisans are OEM trained to ensure repair work of the highest quality. 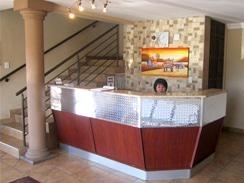 Workmanship Warranty: All workmanship done, as per agreed quotation by Prestige Panelbeaters, carries a 3-year warranty. 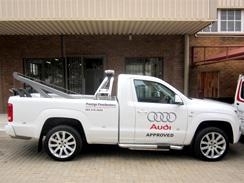 Prestige offers a 24-hour breakdown and towing service to our clients in Rustenburg. Rollback and sling operated vehicles are on standby 24 hours a day. 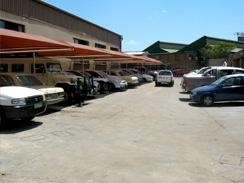 We have secure facilities, to ensure that our clients’ vehicles are safe while we work on their vehicles. 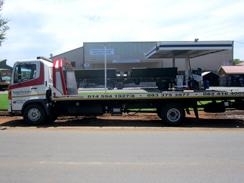 We offer a 24-hour breakdown and towing service to all our clients in Rustenburg. Courtesy Cars - Vehicles are available at a fair rate to our clients if one is needed. 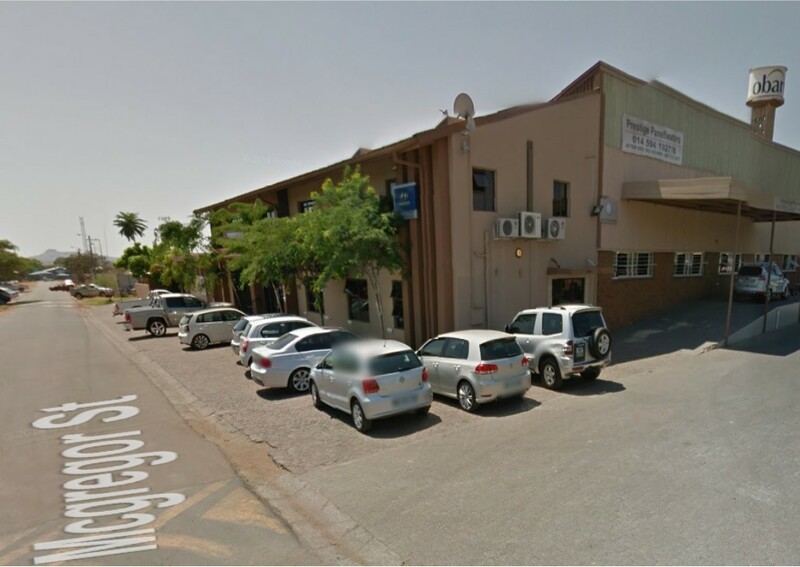 Secured Parking - You don’t need to worry about leaving your car with us. 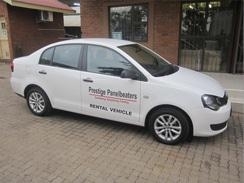 We offer secured parking on our premises at Prestige Panelbeaters. 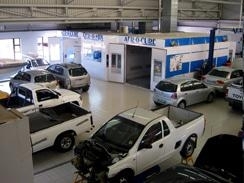 Offering you peace of mind throughout the process of getting your car back in shape. 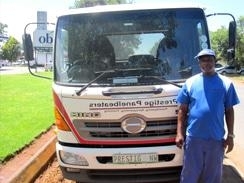 Community Service - Prestige Panelbeaters is involved in sport, education and health. 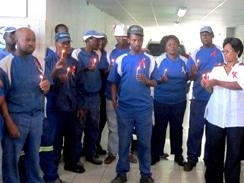 Prestige Panelbeaters is proud to give back to the community of Rustenburg, who has and is supporting our company. Sport - We boast with our own Football team where we play in a friendly league with other companies.